Hope Courage Inspiration was nominated for the Liebster Award. Thank you Tonya, from The Little Slice – I love reading and sharing your blog as well! I’m honored to be included among other innovative bloggers! 2. 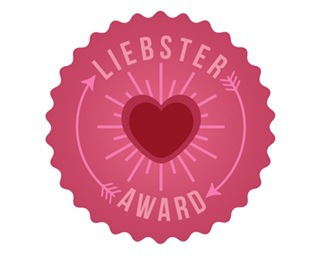 Display the Liebster logo on your blog. 3. Answer the questions the award giver asked you. 5. Pay it Forward: list 11 blogs you want to nominate and ask them 11 questions. 1. If you were a ruler/president/prime minister of your country, what would be your number one task to tackle? That’s a tough one… There are so many issues that need attention in our nation, however if I had to choose just one to tackle, it would be increased funding for research into autoimmune diseases in search of wellness support and a cure. Without getting political, our healthcare system is broken and it hurts the injured and ill the most. Those diagnosed with chronic illnesses are crying for help, and autoimmune diseases are being diagnosed at a staggering clip. What’s more are the frightening statistics that link an increased occurrence of depression in the chronically ill. Practitioners in our overloaded healthcare field simply aren’t able to diagnose medical conditions and coach on overall emotional well-being, even if their intentions are noble (which they usually are). It’s common for patients to be diagnosed and pushed out the door to navigate a new, lifelong diagnosis on their own. They are frightened, isolated and believe their lives have lost their vibrant beauty. I want to change that. As long as I’m alive, I will work to spread hope to those who feel they’ve lost their way; as long as I breathe, I will never allow another soul to walk this path alone. Let’s work harder and faster for a cure. 3. If you could go back in time to change one thing what would it be? During a difficult time in my life, I shut everyone out, including those that cared about me most, particularly my Mom and Dad (I’m an only child). If I could go back, I would have relied on them more; I would have accepted their love and moral support (it takes strength to admit you need help and to accept the help of others). Five years later, it took a health scare to mend the wounds, and while I’m grateful that our little family is whole again, it’s five years I can never get back with them. 4. If you could live anywhere, where would you live? While I can’t imagine not living in Central Texas, if given the chance, I’d plop my circus on a beach-front property in Aruba. That “Happy Little Island” has my heart. I’d blog, sell sno-cones on the side and own a swim-up bar. 5. Are you a hat person? I wish I was! I have an exceptionally large head (literally, not figuratively:) so I look rather goofy in headpieces. Nevertheless, I’ll headdress with the best during Kentucky Derby time. 6. What was the last thing you recorded on T.V.? A little show called Rogue on the Audience channel is my latest obsession. It stars Thandie Newton as an undercover detective and is a great mix of suspense, mystery and onscreen chemistry. 7. What is the best food recipe you’ve made or tried from someone else? I have this love affair with food… It is one of my favorite things on the planet, as is cooking. I’m also a cookbook snob – I like recipes that aren’t too complicated and that are packed with flavor. My go-to source for all things recipes is the America’s Test Kitchen line of cookbooks. Out of the hundreds (yes, hundreds) of recipes I’ve made of theirs, I’ve yet to experience one I didn’t like. (FYI, their pan seared filet mignon recipe is to die-for – for you meat lovers.) Two of my must-have cookbooks from their collection are The Complete America’s Test Kitchen TV Show Cookbook and Slow Cooker Revolution. 9. Do you enjoy a good mess or are you a everything-has-to-be-in-its-place kind of person? Both. I am like a whirling dervish in the kitchen – using every pot, pan, plate and utensil to prepare a meal. It looks like a bomb went off when I’m gettin’ my chef on. But, there’s nothing that irks me more than a dirty kitchen (and house). When the meal is done, I’m busting out the 409 and polishing/sanitizing every thing I can get my grubby little hands on. 10. Who would you want to play you in a movie of your life? Oh, that’s a good one. Hmmm. I’d have to say Sandra Bullock. In many of her roles, she’s that likable, sometimes goofy yet absolutely genuine character. She has flaws and idiosyncrasies, but makes others smile. What you see is what you get, if you will. That pretty much sums me up. 11. What keeps you hooked on blogging? I have this dream of changing the world. The CDC cites that about half of all Americans (117 million people) are affected by one or more chronic health conditions. The AARDA (American Autoimmune Related Diseases Association) articulates that one in five suffer from autoimmune diseases, with estimates indicating that 75 percent of those are women. What’s more: the risk of depression and divorce rates are significantly higher in those plagued by chronic illness (25 to 33 percent and nearly 75 percent, respectively). How do we tackle these staggering challenges and bring light into the lives of others? By spreading awareness and hope. One person at a time. That is why I blog. 2. I’ve gone faster on water than I have on land. 3. I used to be a Harley biker chick. 4. I am the only daughter of a 30-year Marine. My dating life in high school was non-existent. 5. I am a self-proclaimed “hotel snob,” and I adore luxury accommodations. 6. There is no better fruit than Ranier cherries. Period. 7. I have a weakness for Rombauer Zinfandel. It’s proven to be an expensive weakness. 8. I do not remember my first and only helicopter flight; it was on CareFlight. It traces back to that “Grace” nickname. 9. My absolute favorite thing to do in the world is wakeboard. There’s nothing more peaceful and exhilarating than being behind a boat and cresting on the water. 11. At 37, I do not have any cavities, but it’s not for lack of trying. I was blessed with good genes. What was a profound turning point in your life? Hot, sun and sand, or cold, snow and mountain? Number 1 on your bucket list? Who is one person that changed your life for the better? What do you do to unwind from a long day? Kindle/iPad or an “old fashioned” printed book? If you could do anything in the world, what would it be?